Hello, my name is Lindsey; I’m a Junior in high school. Last summer, my family decided to join Matanya’s Hope during the mission trip to be of service however we could. Our family has sponsored Theresa, a girl in Matanya, for many years. This is me in the center of pure bliss at Matanya Primary School. 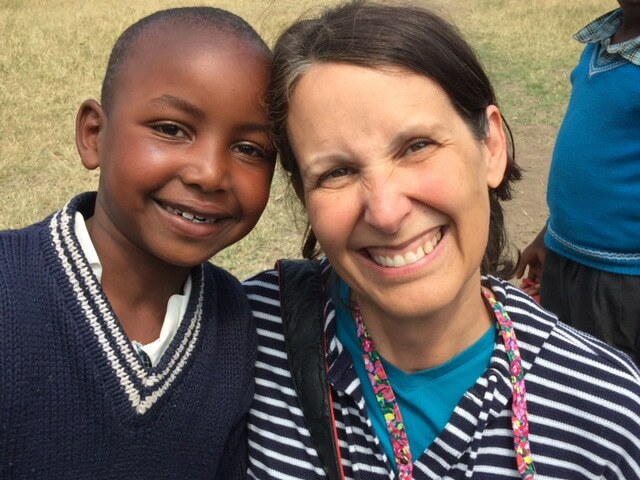 This trip moved me and compelled me to bring the joy of helping Matanya’s Hope home. 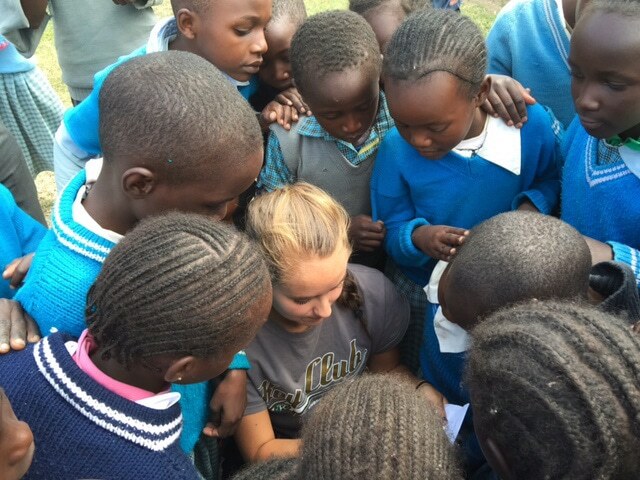 I know first-hand the exhilaration of hearing news about how each one of these students is thriving, or in my case sister, from halfway around the world. Since I’ve been home I haven’t been able to keep my mouth shut about the mission work and the drastic impact it had on my perception of the world. The dramatically different, and oftentimes tragic, way of life which I was immersed in contrasted with the overall quality of character I experienced in the people. The raw humanity I faced around every corner on this trip birthed a powerful hope inside of me – because now I KNOW that what we do and what we say indeed DOES make a difference. 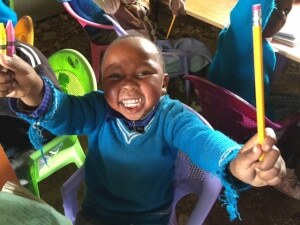 Little boy in nursery school (baby class) receives school supplies. He is as happy as the sun is hot! On our first day, (my birthday) we went to Kibera, one of the largest urban slums in all of Africa, whose existence (until very recently) the Kenyan government denied, allowing the leaders to deny these poverty-stricken areas of humanitarian aid. Even with peppermint oil-scented handkerchiefs pressed over our noses, the foul stench of human feces was pungent and grotesquely unmistakable. We were lead through the streets, lined with trash fires and beat-up storefronts which held everything from flip phones to unrefrigerated, raw meat swarmed with flies. Upon arriving at Raila Primary, the first school we were donating clothing, shoes, school supplies (and more) to, we were welcomed by severely impoverished children singing songs and sharing very strong messages via poetry. 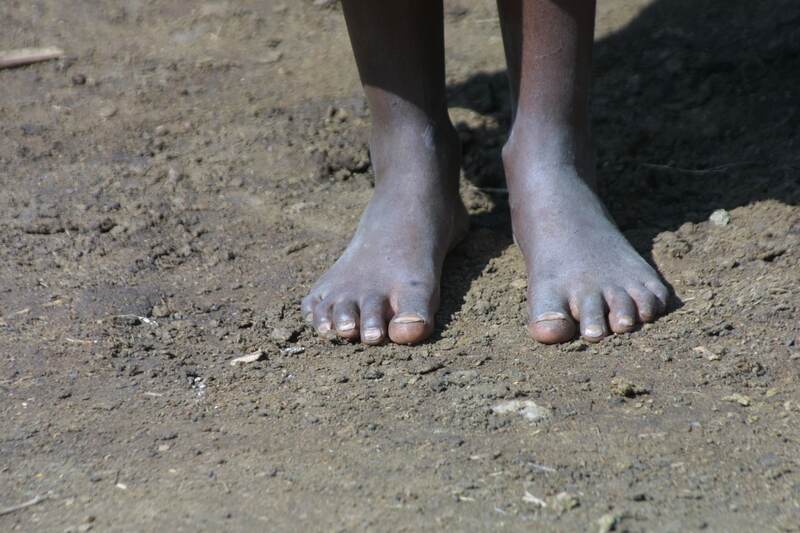 Many were barefooted and dirty. They spoke longingly of their dreams to become journalists and teachers, as well as their literal sleeping dreams from which they beg their mothers not to wake them. The speeches exhibited the darkness that children in Kibera face – when a girl of maybe 10, warned girls and women to be cautious. “The men have lost control”, she said. “Fathers have turned against daughters, even animals are unsafe.” They sang the national anthem, and small high voices rose with pride, drowning out the ruckus of car horns, shouts, and the hustling of people walking on the tier of roads above the slum. 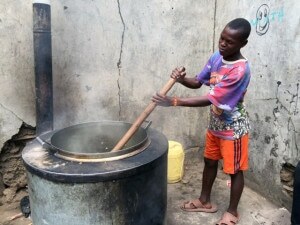 Young boy at Jamii children’s center (orphanage) cooks beans and maize. Well wishers make the food possible. After our welcome, we were given a tour of the school. Narrow outdoor alleyways were noisy and cramped with dilapidated classrooms holding as many as 120 students each on either side. The odor of urine from the waste-filled, doorless pit latrines added to an almost unbearable, stifling effect. Still, the claustrophobia I experienced paled in comparison to that of the children packed like sardines in their classrooms, in a room the size of an average middle class American child’s bedroom. Perhaps the paint was fresh a decade ago, but now, it was grim and peeling. Chunks of the plaster walls were missing. Window frames were void of panes in some and complete with shards of glass in others. The ceiling, now filled with gaping holes, showed evidence of a missing barrier between roof and sky. We later organized the kids into two separate lines where they would wait to receive a cookie and a pencil, clothes, shoes, toothbrush & toothpaste, school supplies, blankets and more. I was working with my father in the cookie and pencil department. Most of the children, we soon realized, would go through the line twice and receive double the cookies and pencils, which created a fair distribution problem when serving over 800 children. We informed the principal of this situation and once we all gathered again in the outside grounds for assembly, she instructed the children, with great authority, to pass up all the extra pencils. “If you have many, others have none,” she said. To my surprise, a murmur ran through the crowd and pencils began flowing to the front, flying out of hidden pockets and into the hand of the principal to be evenly circulated. I wish you could all experience this impact of raw honesty and respect from the young people at Raila Primary, in the middle of one of the world’s largest slums! It encompasses the immeasurable character that many of the students possess, despite the lack of good example displayed in their world. This learned respect and comradery puts them on a track to help their country flip the norm of corruption, and will help create a society fueled by honesty and hard work, one that pushes the invisible, of which there are so many of in Kibera, out of the darkness and into the light to be encouraged, educated, and accounted for. The children play with Julia’s hair. They are fascinated by the different texture. At Raila Primary and other schools throughout Kenya, I was bombarded with questions from curious voices. “Do you eat “Omena fish?” was a constant. Initially confused, I was later told that it’s an old myth that Omena fish have eyes like the sea, and turn your eyes blue if you eat them. Yes, I have blue eyes but I don’t eat Omena fish. My hair was braided by countless hands, all eager to feel my long locks. It was a culture shock to be asked what tribe I was in, as I come from such an ethnically homogenous area like Northbrook. Overall, this incredible experience made my birthday one that I will never forget! I experienced beauty and love in a place where I would never have expected to find it – but where it changed my life forever. Another over the top experience for me was meeting Theresa, the 17-year-old-girl that my family sponsors. 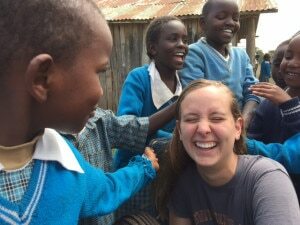 We were fortunate enough to be able to spend a day with her, pulling her from studying for exams, something that she seemed pretty happy about. Apparently the chance to escape the monotony of studying is universally celebrated by teenagers worldwide. We showed Theresa photos of our family at ice hockey games, my school’s homecoming and at Thanksgiving dinner. We smiled, laughed and compared stories. Michelle, Matanya’s Hope founder told my family many times about Theresa’s home but nothing could prepare us for when we visited the one room dirt floor shack. It was carpeted with fleas visible a foot high and walled by rickety boards that were nearly eaten through by maggots. There was a small cot that Theresa and her mother shared which was permanently soggy, moldy, and bug-infested due to the rainfall that poured onto it through the nearly shredded plastic bag roof. 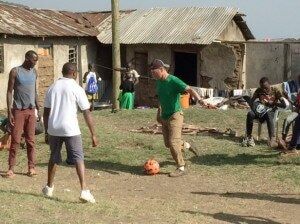 My dad playing soccer (football) here with kids at one of the orphanages we visited. My eyes teared as I wondered if Theresa had ever played anything with her father. Our trip together took us for milkshakes and more giggles. Theresa had to sit through my dad’s business models (as all Masterman children must) and she pretended like the rest of us to be interested. Theresa was officially a part of our family. Our day ended idyllically with a game of catch: a father daughter luxury that, with a choked throat, I realized Theresa had probably never experienced. After sending Theresa back to school with a few gifts, I wished my new sister realized how many she had given me. My mom and Wangechi. It is just so easy to love these kids! I am so glad that you are sponsoring a child(ren). It is my hope that you will also experience the love, joy, emotional and academic gifts that Matanya’s Hope cultivates, first hand. I am happy to answer any questions you may have about my experience with Matanya’s Hope. 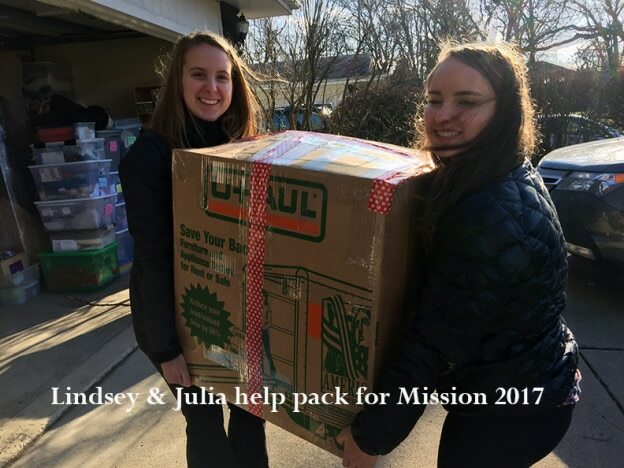 This entry was posted in Events, MISSION 2016, The Children, To Our Sponsors on February 11, 2017 by Michelle Stark. Tribute to my wonderful Mom. As you read these words, you are beautiful mom. In you I have a guiding spirit and friend. Your unselfish ways cradled me as I spent otherwise sleepless nights preparing for the mission. You drove, shopped, called and endured the onslaught of demands. You never complained but instead, rose to the occasion by tackling the ever changing list of to do’s. Storms threw umbrellas to the fields and tore branches from trees, all the while, you told me you were not afraid because you want to live life to the fullest. I did not know how it would be, mom, having you stay with me while I was in the throws of preparing documents and financial reports for hundreds of children. I was afraid I’d disappoint you. But, these past 7 days have been filled with a gift I shall carry with me always. You are my hero… my friend and my treasure. 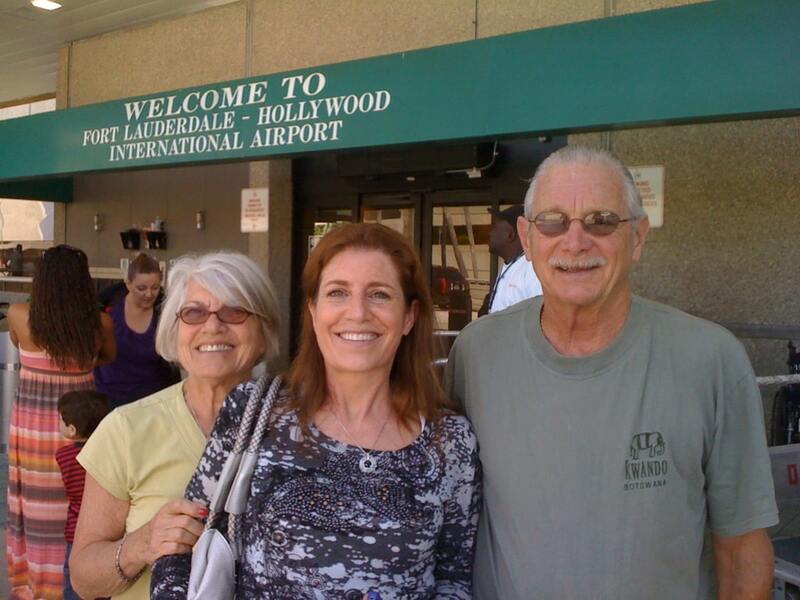 Thank you dad for sharing your wife with me – for giving her up to make sure that this mission and I have the support I need to trumpet success. Thank you Dad for believing in me – in my dreams and my calling – and for believing in the lives of each child we are helping through Matanya’s Hope. You are my greatest spokesperson! I missed having you here this year Mom! I missed you every day! But I am so glad that you and Dad are enjoying Israel! I thank each one of you for your continued support. Together, we are making this world a better place and that is the magic. Never Stop Believing. If you ever doubt your effect on the child you sponsor, just ask them what life was like before you entered their world. Through your student’s eyes, you are their angel and with your gift of sponsorship, hopelessness gives way to hope more every day! Together, we are helping pave the way for a better life for some of the world’s orphans and vulnerable children. I can’t wait to serve these precious children porridge and love! To George, thank you for coming through and organizing us, even when I am in Kenya. Shana, thank you for your time helping me navigate through documents and to do’s…and for the laughter we shared. Jeannette, Ann, Bob, Heidi, Xuan, Susan, Christian… thank you! Matanya’s Hope USA is finally a family! You are each so important and valued in my heart! I could write a book on answered prayers! To Adrienne and Cody, thank you from me and Tiger. Without your welcoming arms, this precious life may not have made it. To Carla, thank you for your countless hours of prayer and friendship. 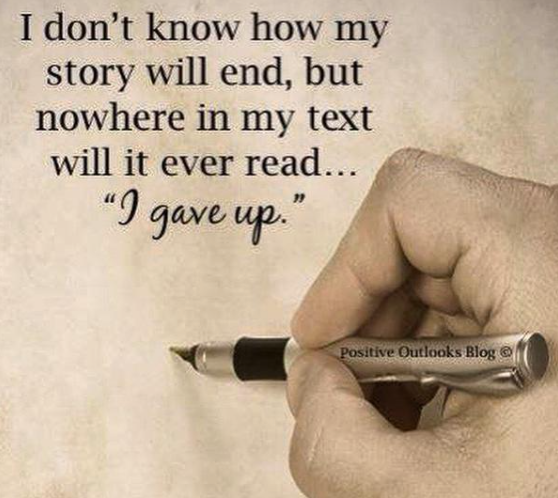 I could not do this without my own faith and dependency on God. And to our neighbors, thank you for your kind help during this time of service. You are all part of what makes this light of hope shine! Your donations are still very much needed. 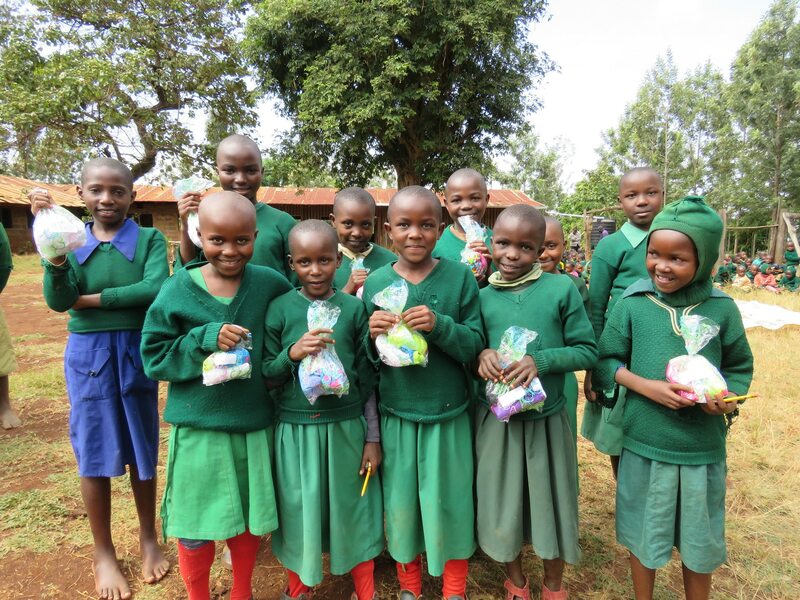 This entry was posted in Matanya's Hope, MISSION 2015, MISSION 2016, Partners with Matanya's Hope, PRE MISSION, To Our Sponsors on June 28, 2016 by Michelle Stark. Matanya’s Hope has sponsored me since I was young. You have given me the chance to go to school. Now I am in University, studying agribusiness management, a very good field for our farming country. I am not writing to you today about me. I have had something in my heart, a burden, that is two years old now. I felt I should mention it to you. I have a classmate who opened up to me about his life. He has faced hard times since he can remember and he is thinking of dropping out of school because he can’t see himself finishing the line with all of the struggles. We are taking the same course. Since my first year, I have been encouraging him. He would sometimes come to school without a single items of shopping (soap, toothpaste, pens, pencils, notebooks, socks…), no fees to pay the tuition, not even clothes or shoes. He mostly attends classes with slippers. I would assist him with pens and share my copies of handout notes we get from lecturers which I printed with the money you provide. The young man goes without food and when he gets it, it is really a miracle. Since the second year, second semester, he has never gone home during school breaks. He can’t because fees for transport are really a problem for him. I remember him telling me last year, “Lisper, if you see that I am doing this exam, God is great”. He said this because he had a fee balance that the parents could not afford. the father struggled and managed to send half of it. Then he approached the Dean of Students with a written letter to request to do the exams. He promised to pay the balance after the exam. I asked him if he managed to pay it and he said that his father sold some trees and sent the fees after. Now we are in a new semester. the student got permission (a kibarua) to distribute mandazi (Kenyan donuts) from a small food kiosk which other kiosk owners use for a quick bite. He hoped that he would at least get food for supper. He did this with our without classes and he would rush quickly to class for every lecture. 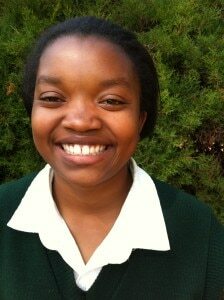 This is me, Lisper Muthoni. Thank you Matanya’s Hope for making it possible for me to go to school. I can not imagine the harshness of life without education. The amazing thing is that no one is bright like him in class. One day, the lecturer wanted to hear everyone shout what he or she would want to be in the future. I heard him saying “a researcher”. the lecturer talked about it. What pained me is that the guy was struggling to get food through getting permission to sell mandazi when I was doing my end of semester exams. I heard others saying that he can’t do the exam. the reason is because of the same fees he owes for this term. The parents have nothing more to sell. They can not manage to get food money for him and at the same time money to pay fees. Since it has been a routine for him to have almost impossible balances due, the Dean refused to admit him to school this term. He told him “you either drop out of school or pay the fees.” The student was so stressed during exam time and after the exams I called him. I wanted to know what happened but he was in tears. He told me that he has been praying to get the fees but now he sees that he can’t make life through education but only away from education. I encouraged him. I know you don’t know this person. You have never seen him either. I wanted to open up this issue to you last year, but it was hard to do it. You know I am a quiet girl. I did not know how you would take it. But let me tell you, I don’t know why I feel bad about this. Every time I pray, I tell God to help that friend. 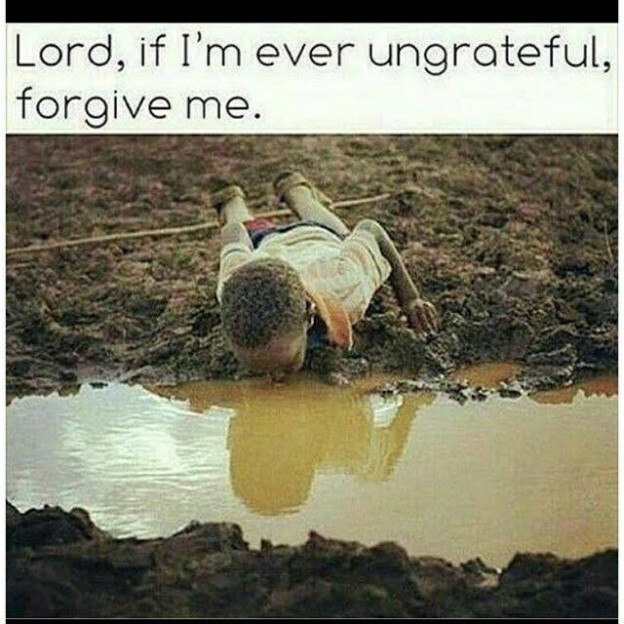 We have given nothing to God yet we are getting our fees paid. It is God who provides. This student is seeing that his dreams will be shattered by all means. I went home and I left him in school saying he can’t go home because he has no fare. And if he goes home, he will be frustrated to return without money for the old and new fees. He remains in the empty hostels with no shopping and no food. Fare to come back is still a problem. Still, he can study for the semester, but he can not do exams without clearing his fees. I really feel like God is calling me to see and feel deeply for what this guy is passing through. I humbly approach you for your help. Everything is God who give. We are helping kids. This thing is serious. I have observed it for long. I have taken time to ask questions and want to know more. I at times wish I would have money to lend a hand. He comes from a very poor village called Kuria, bordering Tanzania. The story of this student touched my heart. His name is Meremo Samwel Nyangi. He is in his 3rd year like me, taking Bsc (agribusiness management). the terms left are only 3 plus the one we finished on Friday though he has not paid for it and he has not done the exams for it. Since my first year I have been encouraging him. 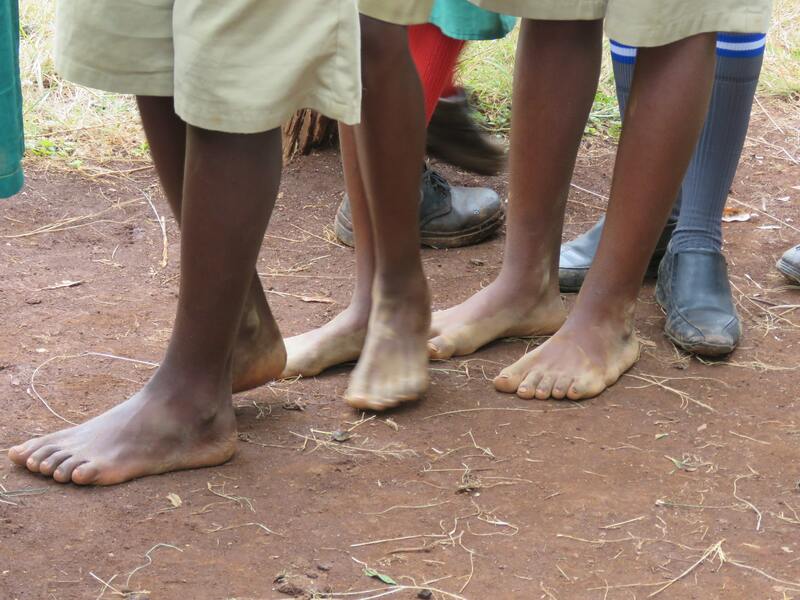 He would sometimes come to school without shopping, no fees, even clothes and shoes. His fees for this new term are 14,350 ($145.00). I am a student who has been helped. Now I pray you hear my request for this boy Samwel. 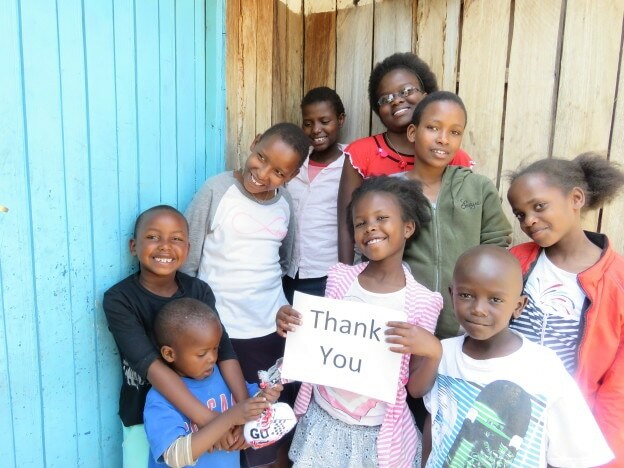 This entry was posted in Matanya's Hope, MISSION 2016, The Children, To Our Sponsors on May 12, 2016 by Michelle Stark. Children wait in line for distribution of porridge, school supplies and shoes. Today, children in Nairobi Kenya are facing the aftermath of one of the worst floods in the history of Kenya. Buildings have collapsed and many are injured and dead. Streets have become like rivers. People’s homes and belongings have been washed away. This year we have more than 4,500 pounds of donated items to pass out, including: shoes, blankets, clothing, school supplies, medical supplies, hygiene supplies and so much more. We will spend our time loving and inspiring these children, assessing our past years work and delivering to help those in need during this crisis. Each trip costs $30,000. So far, we’ve already raised $14,561.00. I am very proud of our progress, but I believe we can reach our goal of $30,000 in this next month. To make that happen, we need your help. This is a great opportunity for you to make a difference in the lives of these children and the communities in need. Please don’t let another day slip away; share your passion for life. Your donation today is an easy way to make a difference in a child’s life. That simple. A child receives help, love and hope. 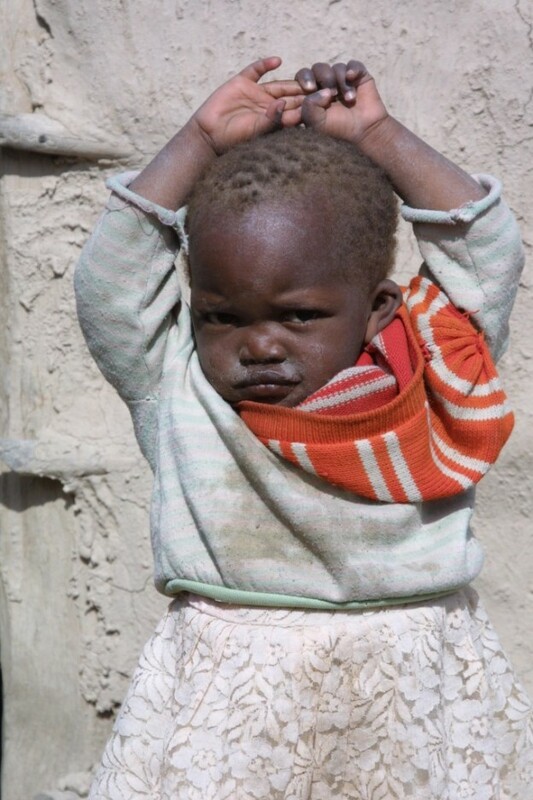 We have an amazing opportunity today for you to make a tax deductible donation that will help Matanya’s Hope address the crisis hitting Kenya today. Your donation will help children in need. ___every child deserves an education. ___every child deserves a chance to succeed in life. ___every child deserves to feel loved. ___every child deserves to be protected from harms way. 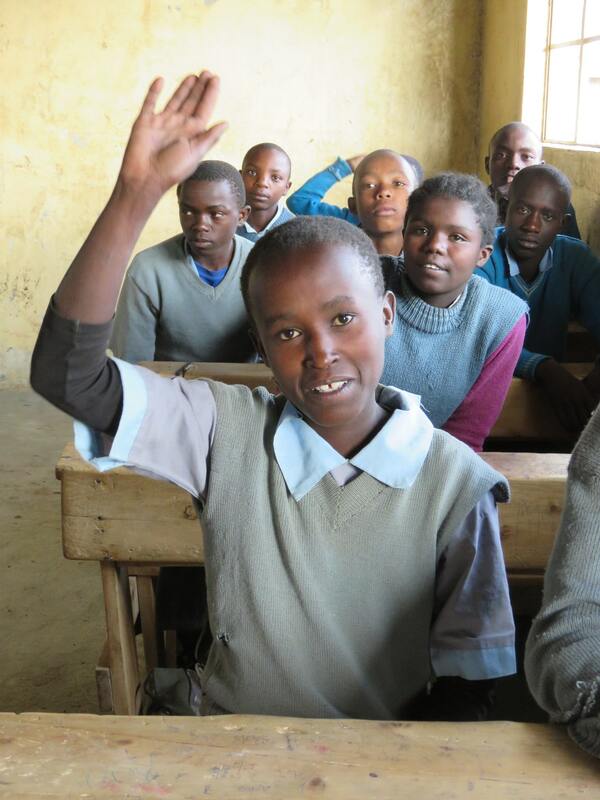 Give the gift of education and you are giving the gift of hope. 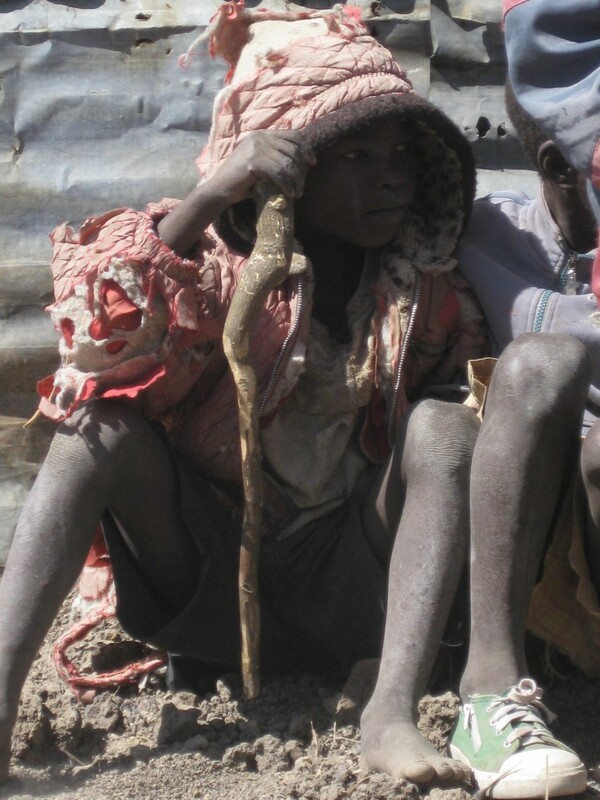 Many children go days without food. 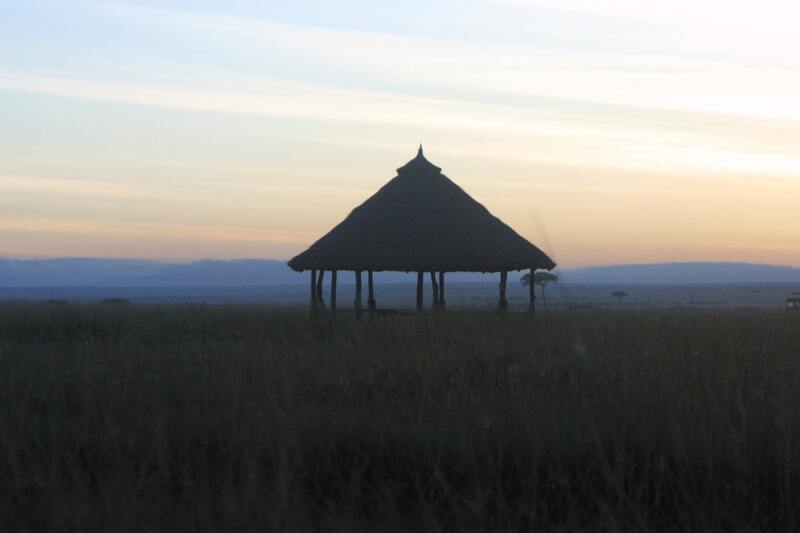 The Matanya’s Hope porridge program helps to eradicate hunger. 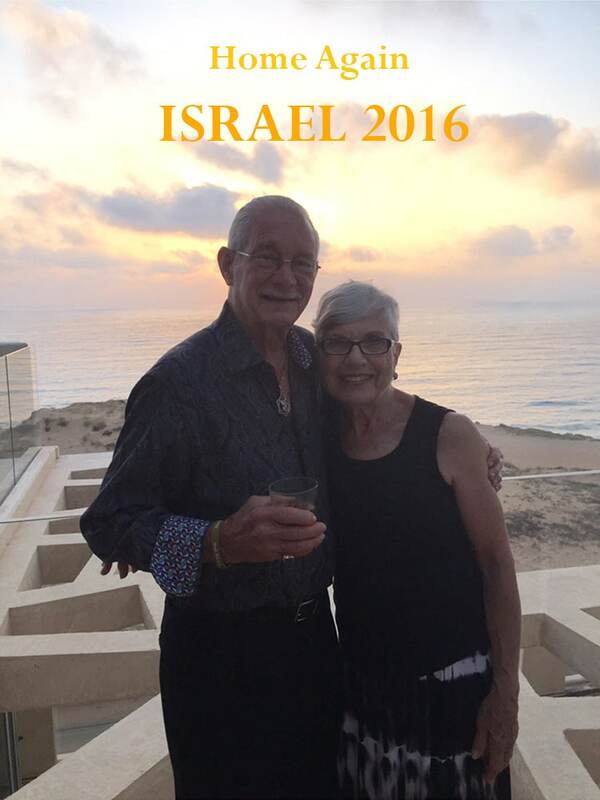 This entry was posted in Events, Matanya's Hope, MISSION 2016, PRE MISSION on May 5, 2016 by Michelle Stark. There is nothing more gratifying than the smile of a sponsored child receiving a gift, a letter with pictures, or other personal item from their sponsors. 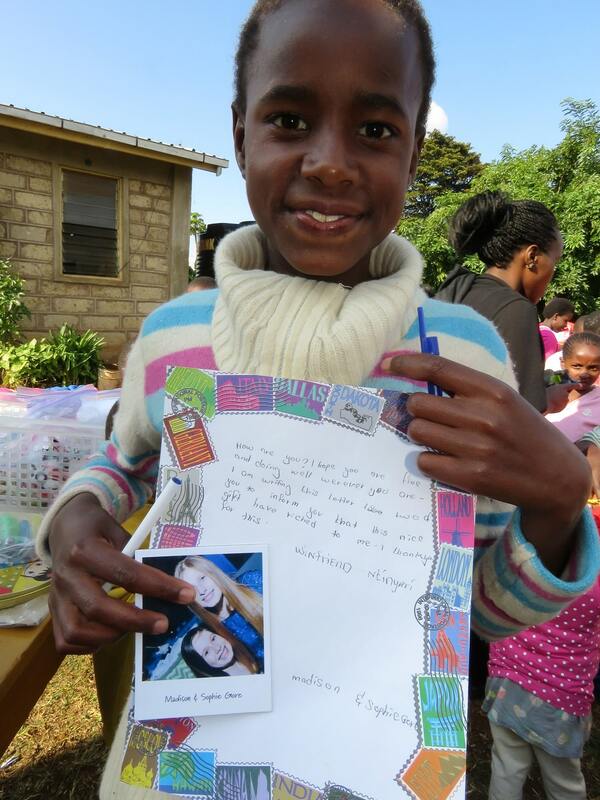 The children love receiving a letter and photo from their sponsors. They are eager to write back. 1. A letter with pictures and easy questions they can answer back for you. 2. Shirts, backpacks, grooming supplies, socks, sweatshirts, underwear, pencils and notebooks. 4. Bibles or books of inspiration and success. 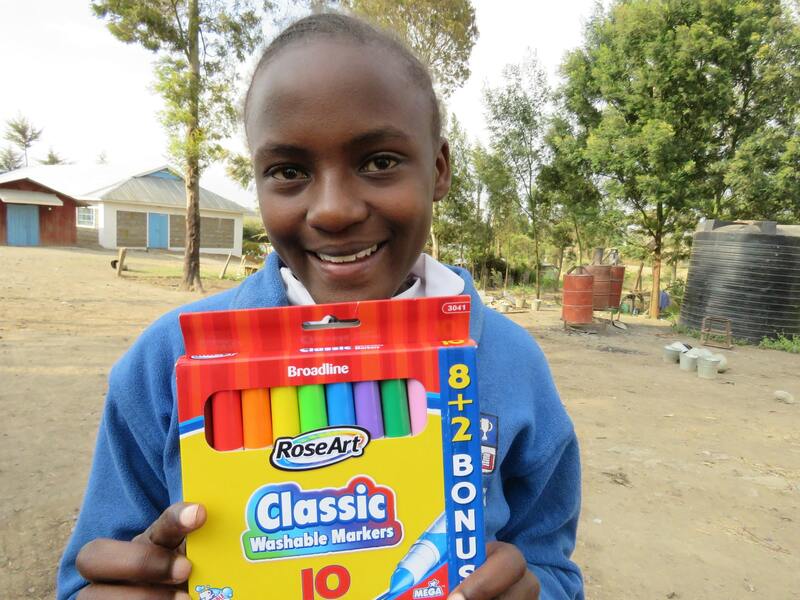 Rose Muthoni receives stationary, notebooks and markers from her sponsors during the 2015 mission. Please know that anything received now will not be with our main shipments and will become extra baggage (at a much higher cost). A donation of $20 towards that cost is gratefully appreciated. We are seeking help to continue this amazing work. Please DONATE NOW TO Matanya’s Hope. (link on the top of this page) Your donation will directly impact our mission outreach for these children. This entry was posted in MISSION 2016 on April 20, 2016 by Michelle Stark. 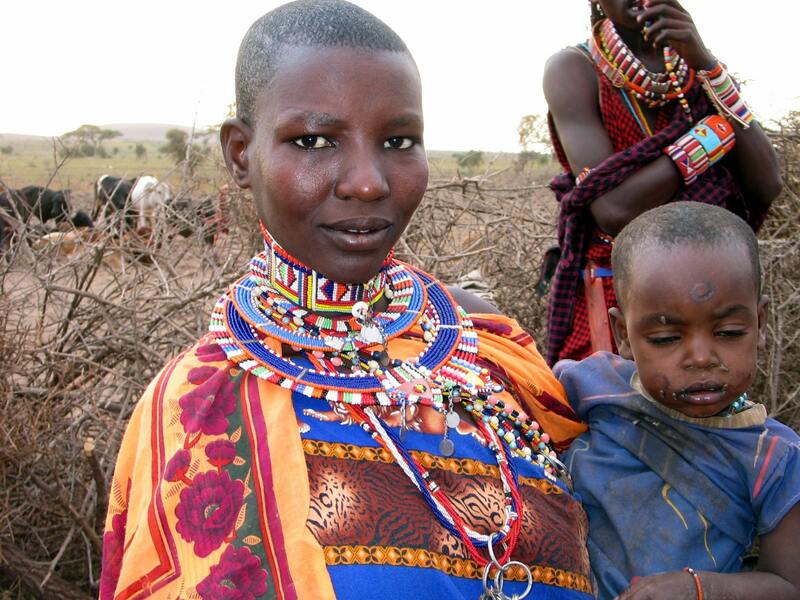 Since 2005, Matanya’s Hope has delivered HOPE to some of the neediest children and communities in rural Kenya. Every year, we distribute shoes, school supplies, clothing, hygiene supplies, medical supplies, blankets, porridge and so much more. Most of all we deliver love and hope for a brighter future. Matanya’s Hope founder Michelle Stark serves a child from Kagaani Primary school with porridge. 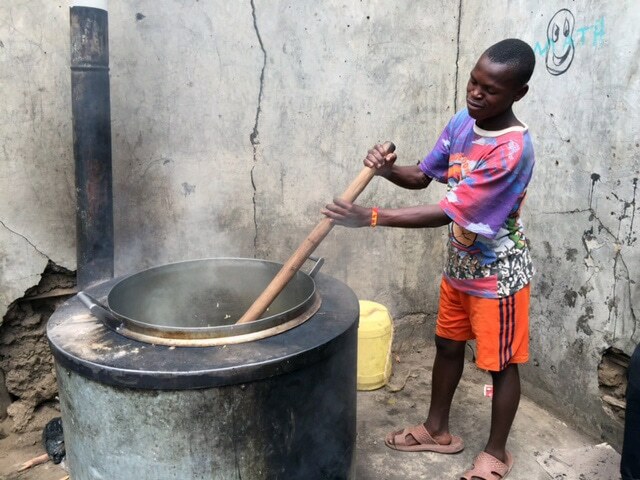 For many of these students, this porridge is the only meal they will receive in a day. Thanks to you, our supporters and followers, we have collected and packed over 4,000 pounds of donations ready to distribute. We have more this year than ever before! 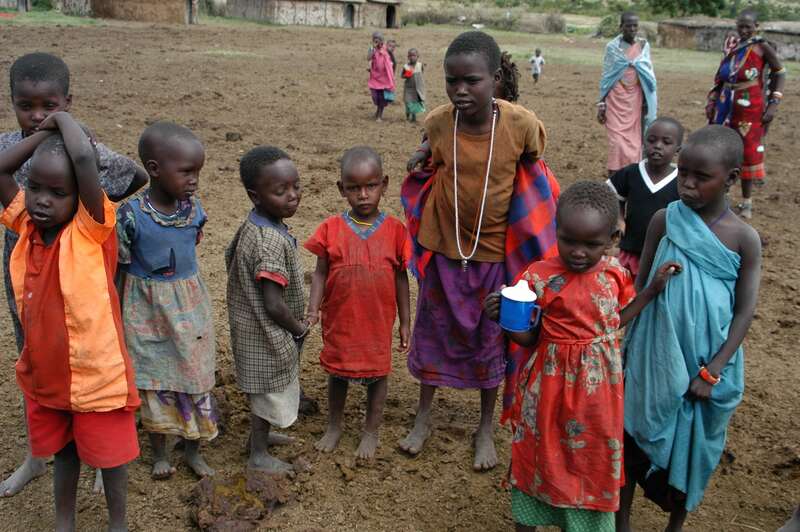 Children from impoverished backgrounds receive inner wears, something almost impossible for their families to provide. We need help with our last big task. Many of you have given so much already and may not be able to assist again, but share our post with friends and family. Every person who reads and learns about Matanya’s Hope is amazed at the work that is being done. Sharing our message is a huge help. The craziest stories on the internet get thousands of shares. (I know you know of some) Surely stories of good works and deeds can get the same attention. We currently have 230 students in boarding schools and universities. Our first students from 2006 are graduating and becoming gainfully employed. 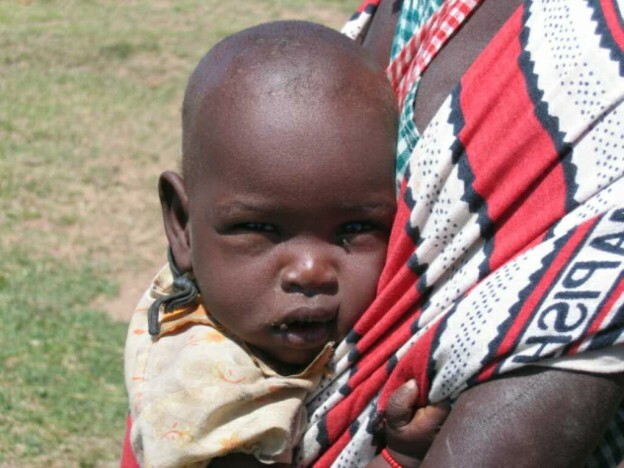 We help thousands through our porridge program, rainwater tank program and with other life changing donations. Please consider donating now and/or sharing our story. We are making a difference for these children and communities. 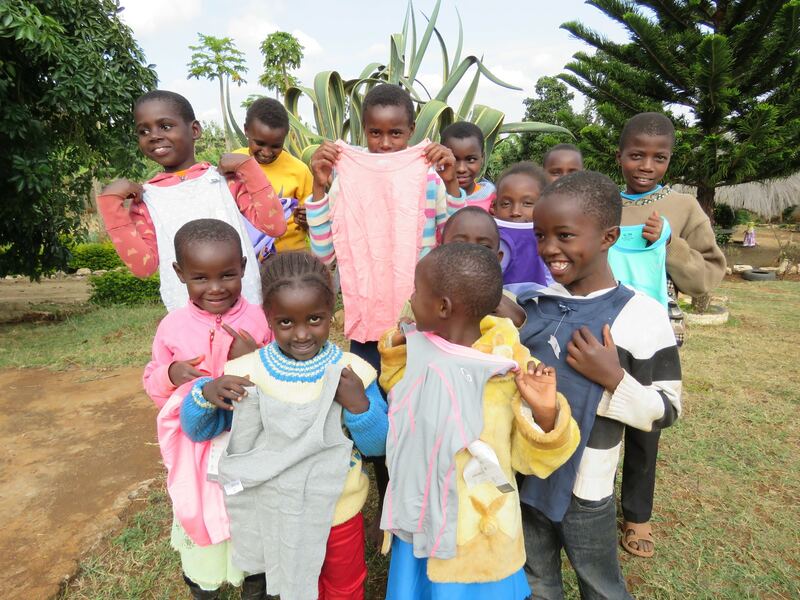 Children from an orphanage receive the gift of clothing from Matanya’s Hope donors. This entry was posted in MISSION 2016, PRE MISSION on April 13, 2016 by Michelle Stark.